Approximately 7 5/8" (19.3 cm) in length. Scale 1:24. "Chevrolet enters the world of supercars" — "The fastest production Corvette® ever" — "A true Limited Edition car" — "Absolutely phenomenal"
These are just a few of the quotes that have attempted to describe the performance, styling and design of the 2009 Corvette® ZR1™. The goal of Corvette® designers Tom Peters and Kirk Bennion was to build a Corvette® that would capture the attention of the European supercar clan while leaving the domestic wannabes in the dust. The ZR1™ has exceeded these expectations — with a lightweight body dressed with exposed carbon fiber panels that not only gives this car an aggressive appearance, but also facilitates its 205mph top speed. Under the clear polycarbonate hood window lies an all-new LS9 supercharged 6.2 liter V-8. Also designed for one thing: speed. Delivering an unprecedented 638 horsepower...more than 100 horses per liter! The main source of this exceptional horsepower gain from the small block LS9 is the Eaton Roots-type Twin Vortices Series (TVS) supercharger. Attach this power pack to a six-speed, close-ratio, race-hardened manual transmission and you have a drive train fit for a supercar! To be a true supercar, the ZR1™ would also have to stop and handle like one. To meet this criteria for the first time ever, specially designed Michelin Z-rated tires would be original equipment on a Corvette®! The brakes, too, would have to be super...fitted with a Brembo CCM brake system with carbon ceramic matrix rotors capable of operating at 1,000 degrees Celsius without warping. 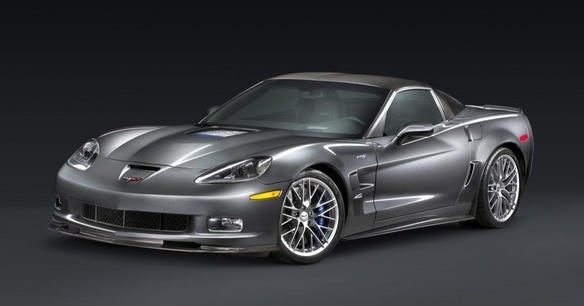 The ZR1™ Corvette® is "a true limited edition car" without American or European equal at its price point. The "absolutely phenomenal" 2009 Corvette® ZR1™ is now available from Mint Models From the clear hood window to the carbon ceramic rotors, we have accurately replicated every possible unique feature of this true American supercar! Doors: Your model's doors are hinged in the front. Steering Wheel: The front wheels can be positioned for display. Rear Hatch: Your model's hatch opens to about a 45-degree angle. Hood: As on the original car, the hood is hinged.